It is said that the best way to predict the future is to create it. To this end, I look forward to being of service to you as you work to create your future. For more than 30 years, Roy E. Hadley, Jr. has been a trusted advisor to high growth businesses, governments, and family/closely held businesses. His practice, which is international in scope, includes counseling clients worldwide on complex corporate transactions, particularly those involving technology, cyber security, life sciences, economic development, telecommunications, outsourcing and intellectual property. He also provides guidance to a wide array of companies and their boards on issues related to data security and privacy, technology and business process outsourcing, health information technology, software development and licensing, and entertainment and new media. Roy serves as independent counsel to boards and board committees on cyber security matters, helping them understand and mitigate legal risks and exposures to protect themselves and the companies they serve. He also counsels clients on business matters affected by personal and family dynamics, including business succession planning, legacy planning, family governance and intergenerational issues. He focuses on helping closely-held businesses and families involved protect their interests and achieve their goals in times of transition or crisis. Roy’s business experience includes serving as vice president, general counsel and corporate secretary of a wireless communications company, as vice president, general counsel and chief privacy officer for an international travel services and technology company, and as in-house counsel for a pair of telecommunications corporations. Roy also served as special counsel to the president of the American Bar Association and as special assistant attorney general for the State of Georgia. A frequent speaker, lecturer and author, Roy has writings that have appeared on USAToday.com, FOXNews.com, Compliance Week, Healthcare Risk Management, Inside Counsel, Homeland Security Today, National Law Review, Sports Page Weekly, Law 360 and many other publications. He has also appeared on Georgia Public Broadcasting, TAG Radio, WXIA-TV (Tech Edge) and WUPA-TV (Focus Atlanta). Roy served on the board of the Chastain Bark Conservancy and the Corporate Leadership Council of Fernbank Museum of Natural History. He is active in the Boy Scouts of America, where both he and his son are Eagle Scouts. Roy is AV® Preeminent Rated by Martindale-Hubbell and has been selected by several publications for various honors. He was tabbed a Cyber Security Visionary by USBE & IT Magazine in 2012, listed among Georgia’s Most Powerful and Influential Lawyers in 2013, honored by Legal 500 in Mergers, Acquisitions and Buyouts in 2014, a “Minority Powerbroker” by Law360, as one of the “Top 100 Most Influential Black Lawyers” by Savoy Magazine in 2015 and a “Game Changer” in information security by Hub Magazine in 2016. Most recently, he was presented the “Pinnacle Leadership Award” from the Fortitude Educational and Cultural Development Center in 2017. Roy is a member of the Atlanta Bar Association and the Georgia Bar Association. 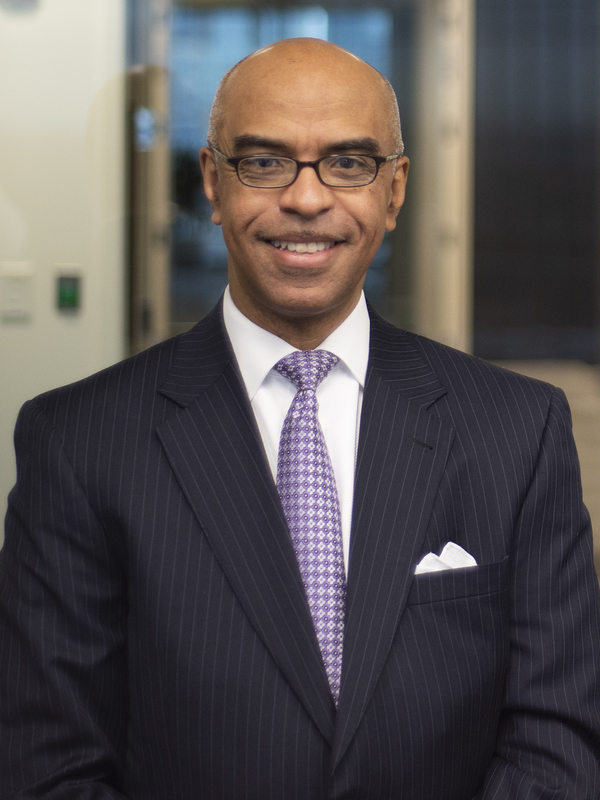 He is a former board member of the Atlanta Legal Diversity Consortium and is currently on the Technology Marketing Council of the Atlanta Chamber of Commerce as well as an Advisory Committee Member of the United States Law Firm Group Diversity Committee. He served on the board of the Atlanta branch of the South African Business Chamber of Commerce, and he is currently the board chair of the Technology Association of Georgia Information Security Society and is an advisory board member of the National Technology Security Coalition. Assisting companies and governments in cyber breach response, remediation and recovery. Assisting companies and governments in cyber security assessments designed to help to prevent cyber-attacks and the resulting business, operational and reputational damage. Assisting pharmaceutical companies in developing global privacy and information management policies and procedures. Drafting international privacy policies and data transfer policies, including privacy shield and general data protection regulation. Drafting and negotiating cloud storage and data hosting agreements to reduce costs for a client while maintaining safety and security of personally identifiable information. Assisting a life science company with clinical trial and managed services agreements. Counseling client in a complex property acquisition and restructuring in multi-party bankruptcy proceeding. Serving as lead counsel in complex outsourcing arrangement for telecommunications and computing sales for state government. Counseling clients in the sale of a closely held family business to multiple private equity concerns. Representing a large United States manufacturer and distributor of agricultural equipment in multiple African countries and facilitating joint ventures with local partners throughout Africa. Representing African companies in accessing United States technologies, facilitating technology transfers, and negotiating licensing and distribution rights in southern and western Africa. Assisting a United States-based commodities trading company in establishing distribution, warehousing and trading operations for perishable commodities in Liberia and western Africa. Serving as co-lead on a $330 million purchase and corporate restructuring for a large, privately held media group. Counseling athletes and entertainers on endorsements, business opportunities, social media and other contractual matters. Counseling a client on convergence and interactive media technologies, content distribution and enhanced broadband/multimedia applications.